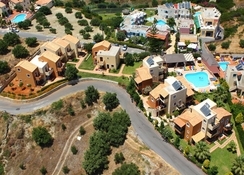 The Dia Apartments are in a quiet, relaxing location 200 metres from the nearest shop, 500 metres from the attractive Crete village of Piskopiano, 600 metres from the nearest restaurants, bars and shops, 700 metres from the centre of lively Hersonissos and two thirds of a mile from the beach. The one bedroom apartments sleep four and have a double bed and two single sofa beds in the lounge whilst the open-plan split level maisonettes also sleep up to four people with double beds upstairs and two single sofa beds downstairs. Studios are also available for two and have twin beds. 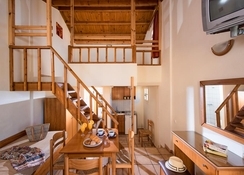 All rooms are air conditioned and have a kitchenette and a balcony or terrace. 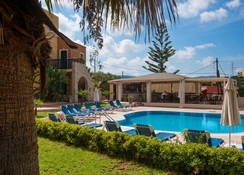 The Dia Apartments also have an inviting swimming pool, a sun terrace furnished with loungers and a welcoming poolside bar. 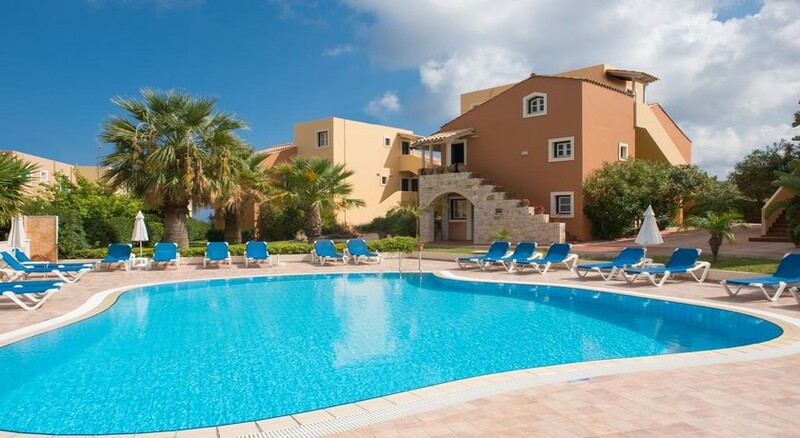 There are internet facilities for those who like to stay in touch and a pool table and games for anyone who likes to keep active – for everyone else sunbathing is usually the preferred option.